Out players in the NFL and the NBA, Gay Marriage coming to Utah and Clay Aiken running for Congress in North Carolina — it’s getting pretty gay out there. 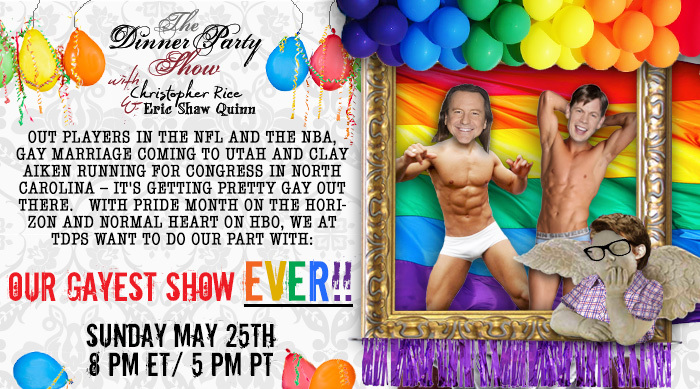 With Pride month on the horizon and Normal Heart on HBO, we at TDPS want to do our part with: Our Gayest Show EVER! !